A young family needs a nursery for their newest member and to convert an underused dining room into a music room. 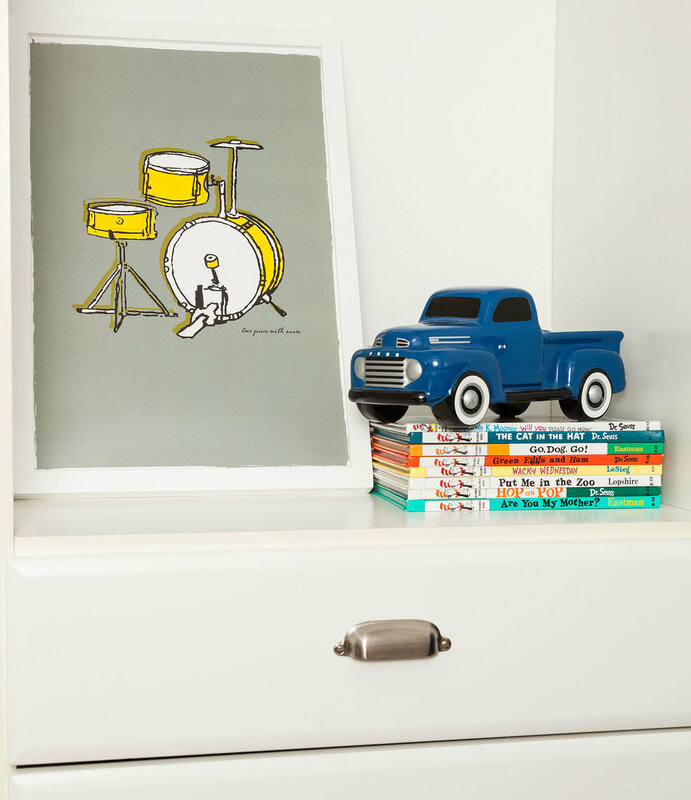 Painting a kid’s room is a great way to bring in some fun and interest without spending a lot of money. This nursery is simple and modern with a high contrast navy and white paint scheme that will grow with baby as he gets older and won’t need to be redone right away. 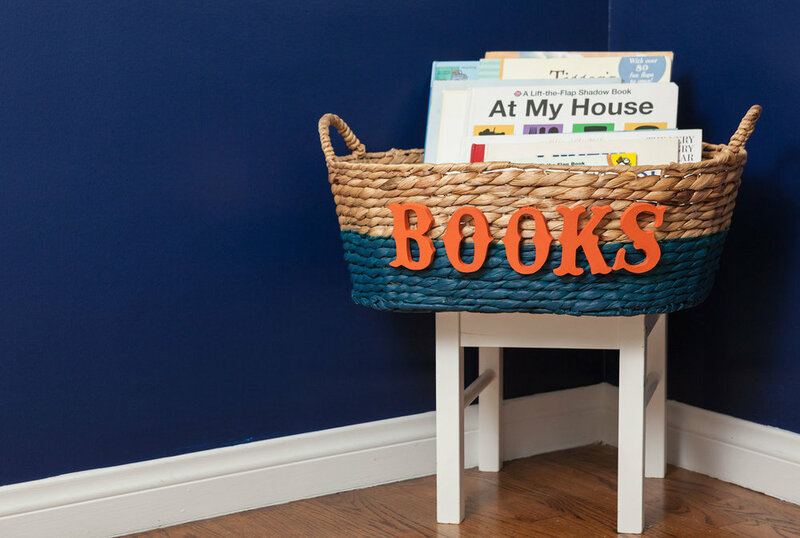 Accessories and shelving add dimension to the room and show off the family’s personal style. Older brother and his parents are musicians, and they needed more space for practicing and family jam sessions. Since their dining room wasn’t getting used much, it was transformed into a music room and hangout area. Playing off of the clean white interior is an easy to care for and colorful rug and a plethora of pillows against a neutral linen window seat. This allows the family to continue to add to the space with their own eclectic style. 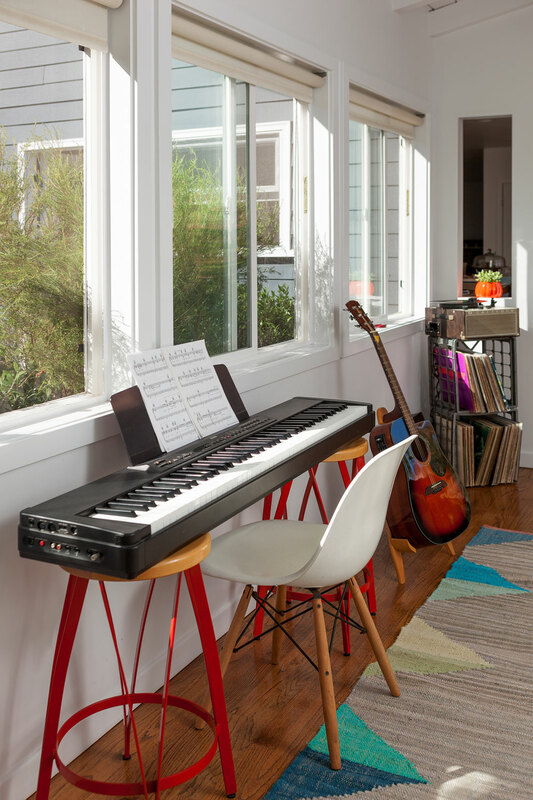 The window seat is a great place for the “audience” to sit, and old stools and a classic dining room chair are repurposed to create a keyboard station. 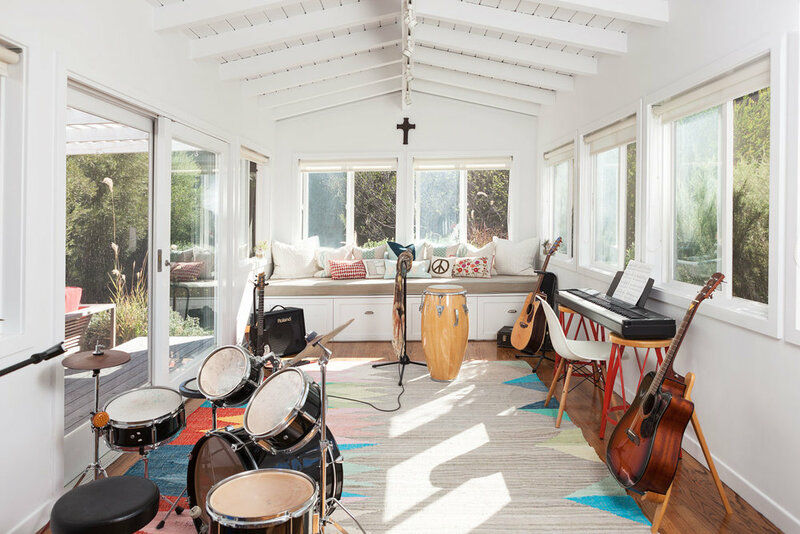 No modern music room is complete without a vintage record player and records, and this new space allowed the homeowner to bring his out and use it regularly.